Rainfall has been erratic over the past decade, and when it finally arrives, it comes in a few heavy torrents. Heat is stressing crops. Water for irrigation is becoming increasingly depleted. With oxcarts a familiar sight on the rural horizon on a recent visit with Singh, I was struck that India seems an unlikely place to lead innovations in agricultural resilience and efforts to reduce greenhouse gas emissions. But India’s farming industry is bolstering resilience and responding to climate challenges through a global food security research project on Climate Change, Agriculture, and Food Security (CCAFS). 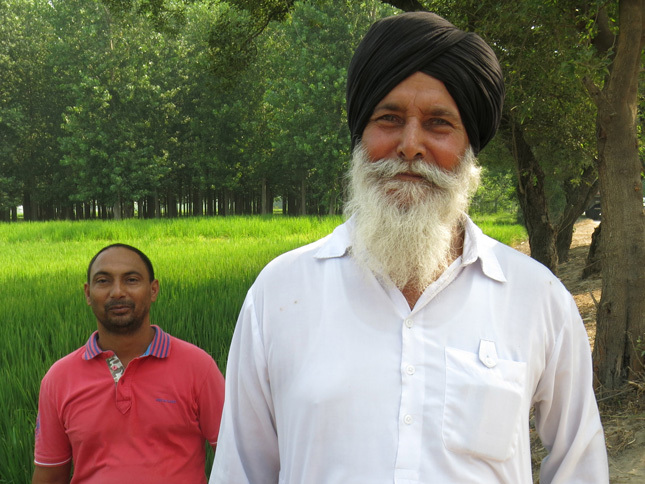 Singh and other local farmers eager to improve their resiliency to climate variability and limit the use of costly energy, water, and fertilizer are now collaborating with researchers and local farmers cooperatives to help make Noorpur Bet a “climate-smart” village. Punjab and the neighboring state of Haryana are both seeking to transform 1,000 villages to improve their climate resiliency. 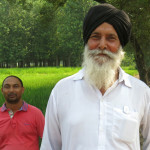 Photo Credit: Joginder Singh, of Noopur Bet, Punjab, used with permission courtesy of Lisa Palmer.